Advocates for criminal justice reform often refer to America's jails and prisons as "de facto mental institutions," and cite a constellation of problems associated with confining individuals in a system not designed for their care and treatment. While estimates of the percentage of incarcerated individuals with mental illness vary, there is general consensus that significant overrepresentation of people with mental illnesses in the criminal justice system leads to a variety of complex problems, including the following: consequences for public safety, undue distress to individuals and families, and ineffective use of resources, as untreated mental illness often results in problems from prison overcrowding to high rates of recidivism. One possible solution to these problems is the expansion of mental health courts (MHCs). While variation exists in administration across programs, generally a MHC refers an integrated continuum of philosophy, programs, and policies among various systems, including mental health, substance abuse, law enforcement, and criminal justice that collaborate with the intended outcome of diverting eligible offenders with mental illness from incarceration into judicially supervised treatment. Eligibility most commonly uses the criteria of "severe and persistent" mental illness, thus targeting individuals with long-term and debilitating impairment in functioning due to disorders such as schizophrenia, schizoaffective disorder, bipolar disorder, and severe depression and anxiety. In addition to differences among MHCs based on participant characteristics, eligibility may vary based on the nature of the charges, intensity and duration of supervision, and types of treatment available. From a philosophical standpoint, an MHC assumes the perspective that the neurobiological basis of mental disorders is outside the willful control of individuals. According to a report by the Council of State Governments Justice Center, "People with mental illness cannot simply decide to change the functioning of their brain. As with physical illnesses, it is believed that mental disorders are caused by the interplay of biological, psychological, and social factors." Therefore, MHCs offer participants a model that involves accountability for the actions that led to court involvement along with opportunities to engage in treatment of underlying mental health disorders. An MHC team typically includes the judge, prosecutor, defense attorney, case manager, court staff, criminal justice staff (probation, police, jail representatives), and mental health or treatment staff. In contrast to a traditional court where a judge hears a case, renders a verdict and imposes and punishment, the judge in an MHC is more involved in monitoring the treatment plan, including participation in time-intensive team reviews of each case on the docket. While high-volume jurisdictions may administer stand-alone MHCs, an MHC can also refer to a specialized docket handled by a judge and team that also handle traditional cases. The active engagement of the defendant is paramount, beginning with the decision to accept the terms of participation in the program. Karen Blackburn, program administrator for Problem Solving Courts with the Administrative Office of Pennsylvania Courts, says, "Clients always have defense counsel advising them on their participation and the requirements for successful completion. While a defendant has to be accepted into a mental health court, in Pennsylvania his or her entry into the program is entirely voluntary, and the individual must consent to participate with the treatment plan." A client's progress through the plan is carefully monitored. Blackburn says, "These are matters of the court, and there is a constant need to maintain balance between the expectations of the program, as in the conditions of sentencing and participation, and accountability for treatment." In a recent study conducted in a Minnesota jurisdiction, researchers from North Carolina State University compared the outcomes of defendants who had mental health problems, had committed misdemeanors or gross misdemeanors, and went through MHC compared with defendants who went through the traditional court system. They found MHCs "effective at reducing repeat offending, and limiting related jail time for people with mental health problems—especially those who also have substance use problems" (North Carolina State University, 2015). • more favorable interactions with judge and perception of being treated with greater fairness and respect than in traditional court. However, another recent report by the Urban Institute that summarized research on MHCs "concluded that they seemed to be modestly effective at reducing recidivism, but it was unclear whether they had a positive effect on participants' mental health" (National Public Radio, 2015). The mixed findings could have various explanations. As noted earlier, the diversity of implementation of MHCs leads to difficulty in interpreting and comparing research findings, especially regarding gaining a deeper understanding of the specific variables that may account for positive effects. • more effective use of resources for sponsoring jurisdictions by reducing repeated contacts between people with mental illnesses and the criminal justice system and, when appropriate, by providing treatment in the community—where it is more effective and less costly than in correctional institutions. In an attempt to standardize data collection and facilitate research on MHCs, the National Center for State Courts developed 14 performance measures on effectiveness, both in process and outcome. 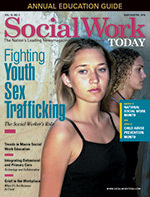 The core measures include participant accountability (e.g., in-program reoffending, attendance at scheduled therapeutic sessions), social functioning (e.g., living arrangements), case processing, collaboration, individualized and appropriate treatment, participant perceived fairness, and aftercare/postexit transition. While communities and courts may readily identify problems, designing programs that effectively engage the various systems involved with a defendant with mental illness can be daunting. Often the same individuals will be involved with the mental health system, substance abuse services, criminal justice system, and other social services with little coordination among providers. Blackburn cites the "sequential intercept" model as a valuable conceptual framework as communities and courts consider the development of cross-systems communication and collaboration, essential characteristics of a successful mental health court. While in traditional circumstances an individual's involvement with various systems is likely to be fragmented and uncoordinated, the sequential intercept model outlines a linear trajectory. The model envisions a series of points of "interception" at which an intervention can be made to prevent individuals from entering or penetrating deeper into the criminal justice system. Ideally, most people will be intercepted at early points, with decreasing numbers at each subsequent point (Munetz & Griffin, 2006, p. 544). The five "intercepts" are the following: law enforcement and emergency services; initial hearings and initial detention; jails and courts; reentry from jails, prisons, and hospitals; and community corrections and support services. Utilizing this model, often counties or jurisdictions develop "forensic task forces" with representation from these intercepts to assess the interface between the criminal justice system and the mental health system with the intention of developing interventions that seek to engage individuals in treatment, prevent initial involvement with the criminal justice system, and facilitate re-entry after incarceration. Complex problems often demand complex solutions, and mental health courts are an evolving response, growing increasingly sophisticated in order to most effectively target limited resources to maximum effect. Blackburn sums up the challenge, illuminating the fundamentally pragmatic dimension: "Problem-solving courts, in general, are devised in order to target the highest-need, highest-risk populations. They target people who fail at the traditional way of doing things and employ a problem-solving approach." Council of State Governments Justice Center. (2006). Mental health courts: A primer for policymakers and practitioners. Retrieved from https://csgjusticecenter.org/wp-content/uploads/2012/12/mhc-primer.pdf. Munetz, M. R., & Griffin, P. A. (2006). Use of the sequential intercept model as an approach to decriminalization of people with serious mental illness. Psychiatric Services, 57(4), 544-549. National Center for State Courts. (2007). Mental health court performance measures: Introduction & overview. Retrieved from http://cdm16501.contentdm.oclc.org/cdm/ref/collection/spcts/id/221. National Public Radio. (2015, December 17). Mental health courts are popular, but are they effective? Retrieved from http://www.npr.org/sections/health-shots/2015/12/16/459823010/mental-health-courts-are-popular-but-are-they-effective.